Indian Navy first time clear images of the nuclear powered submarine. Indian navy first time clear image of the the nuclear powered submarine being built as part of a top secret project. 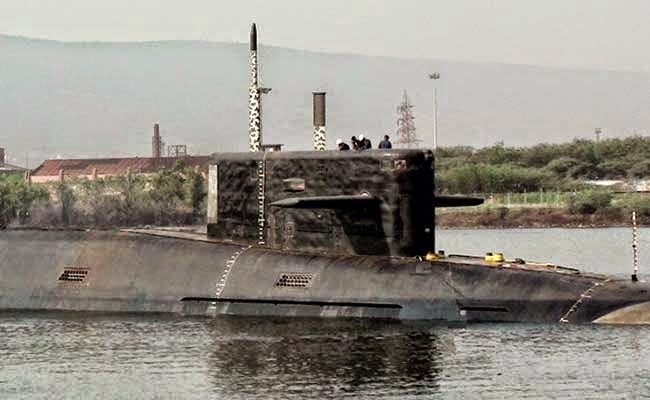 INS Arihant is the first class of the nuclear-powered ballistic missile submarines with a displacement of 6,000 tonnes.The submarine is 83MW pressurized water reactor and can carry four nuclear-tipped K-4 submarine-launched ballistic missiles having a range of 3,500 kilometres or a dozen K-15 missiles which have a range of 700 kilometers.